In times of growing awareness regarding environmental protection, the parties issuing an invitation to tender also increase the requirements on production and assembly of sewer and manhole parts. This, among others, applies to an essential component in the joint between such parts. 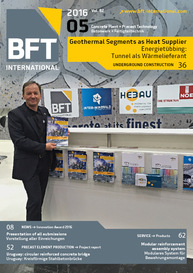 It is the joint seal that is providing for reliable and permanent sealing of modern sewer and manhole structures, thus being an inevitable part for sustainable environmental protection. 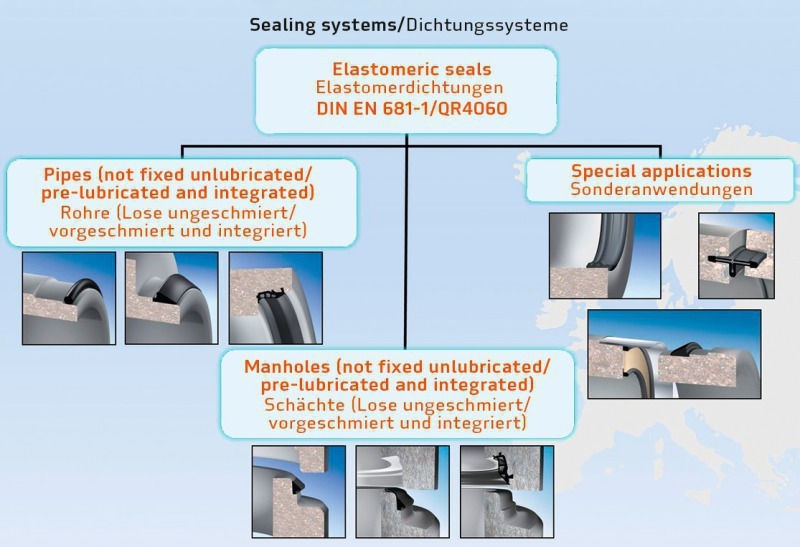 In order to meet the requirements of this situation, the sealing system is designed according to the respective customer-specific joint, being exactly manufactured in the quality required. 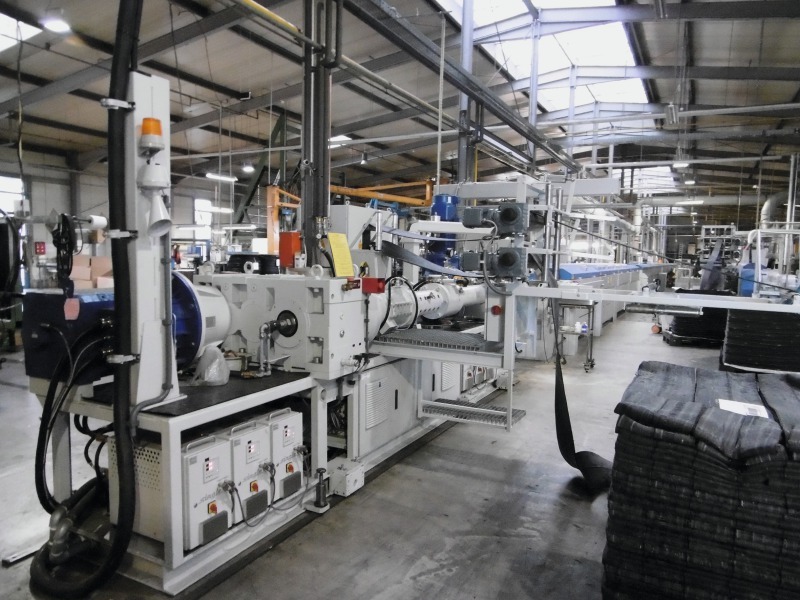 This is guaranteed by the high technical expertise of the staff members and by a modern production facility using state-of-the-art manufacturing technology. Additionally, the production is monitored by the internal quality control and independent external testing institutes, thus achieving the highest possible product quality. 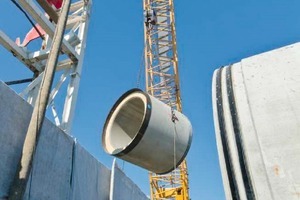 The portfolio of these elastomeric seals is ranging from not fixed unlubricated, not fixed pre-lubricated seals or seals integrated in pipes and manholes up to special applications. 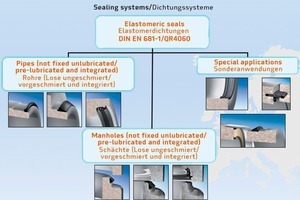 All sealing systems comply with the requirements of DIN EN 681-1 and the FBS quality guideline QR 4060. The materials we most often use for the production of elastomeric seals are styrene-butadiene rubber (SBR), ethylene propylene diene monomer (EPDM rubber) and nitrile butadiene rubber (NBR). Chloroprene rubber (CR) is also used occasionally. Characteristic for EPDM is the high resistance to acids/alkali solutions and for NBR the high resistance to crude oil/gasoline. 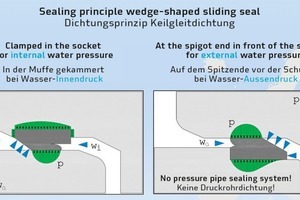 The contact pressure of the seal has to be higher than the water pressure so that the sealing effectively seals up the pipe or manhole joint. This requires securing the position of the seal by friction or support as well as a sealing contact surface of an adequate size, in order to compensate small voids and cavities in the concrete and to prevent lateral water infiltration. The properly designed seal is situated at the proper place and it is protected in the socket of the pipe for storage and transportation purposes. 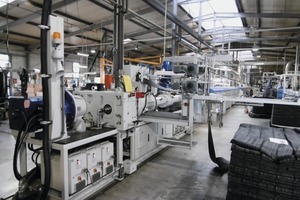 The unit of pipe and seal ensures quick and reliable assembly. The seal is safely fixed in the socket and protected against internal and external water pressure. Small tolerances of socket and spigot end provide for enhanced tightness security. A uniform, non-resilient load transfer in vertical direction among all precast manhole units has to be ensured according to DIN EN 1917, DIN EN 1610, ATV-DVWK-A-139 and ATV-DVWK-A 157. 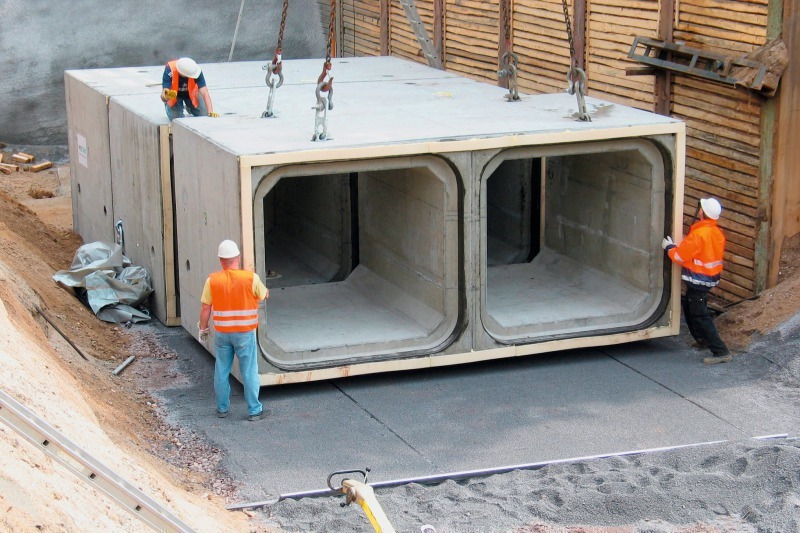 Precast manhole units and their joints including sealing compound form a single technical unit, thus they have to be supplied by the manufacturer of the precast manhole units. 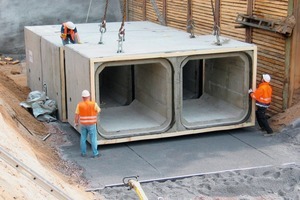 The sealing compounds have to be adapted to the size of the joints of the manhole parts. 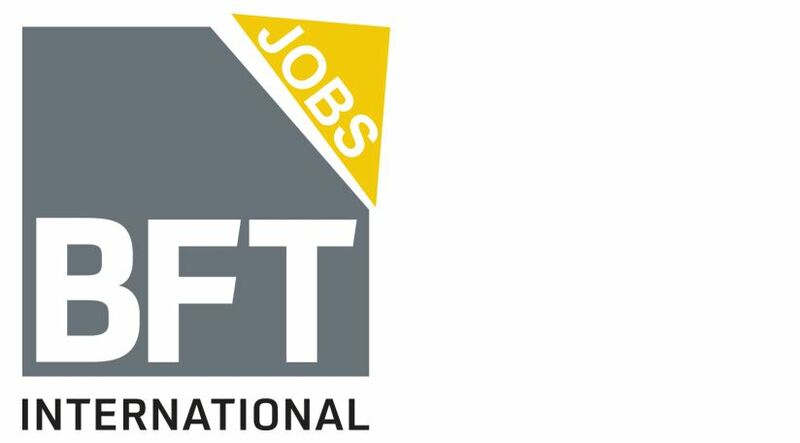 The manufacturer of such load transfer elements has to prove the reliable, non-resilient transfer of all vertical loads for any type of construction by a verified structural calculation of the entire structure, and having it confirmed by a recognized testing body on the basis of respective ultimate load analyses. 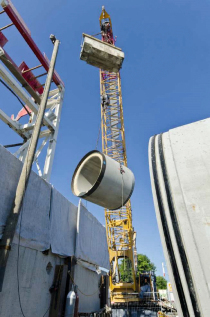 The checkable double wedge slide seals allow checking of large pipes and box culvert units immediately after assembly as well as further inspections in a fast and uncomplicated manner, without additional assembly efforts for testing equipment. 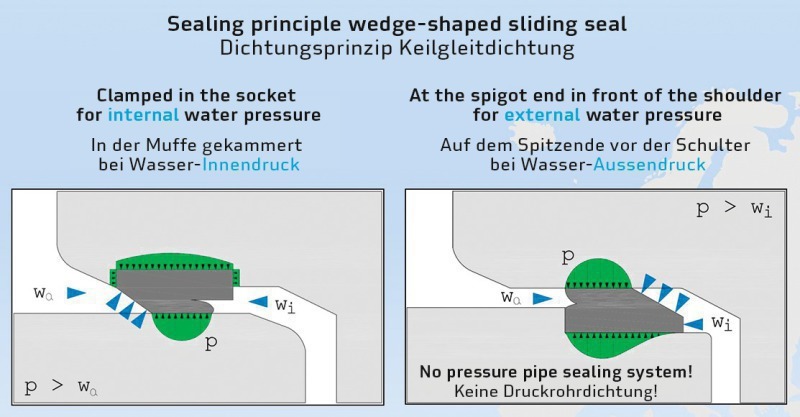 Advanced wedge-shaped sliding seals enable the realization of a verifiable tightness of jacking pipe joint seals exposed to an external water pressure of up to 8.25 bar. 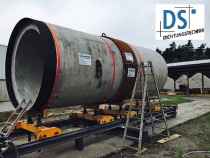 DS Dichtungstechnik GmbH, as a reliable full-range supplier of sealing systems and special accessories for sewer pipes and manholes, always supports their customers with state-of-the-art production expertise and continuously innovative product developments.